WOW GUYS this is a friend of mine… and I love it!!! 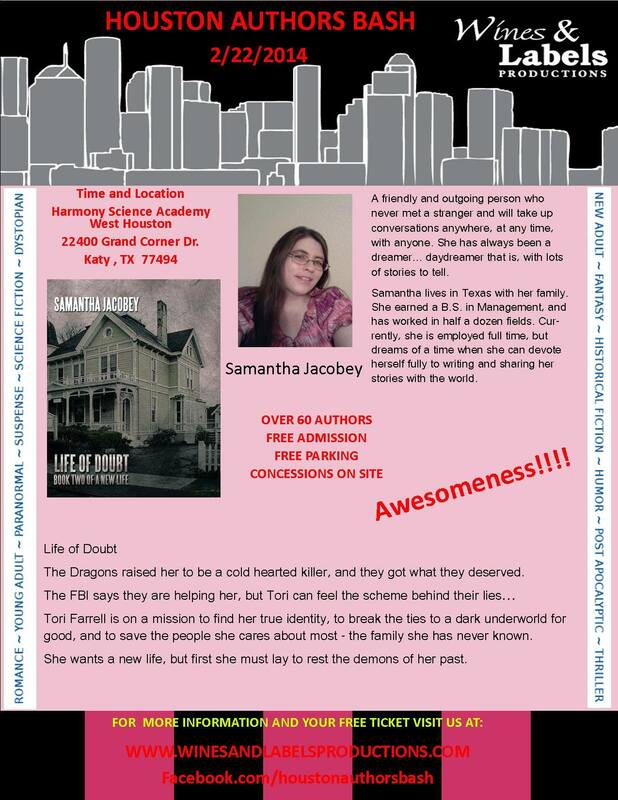 Book Bash – Katy, Texas on Saturday!!! 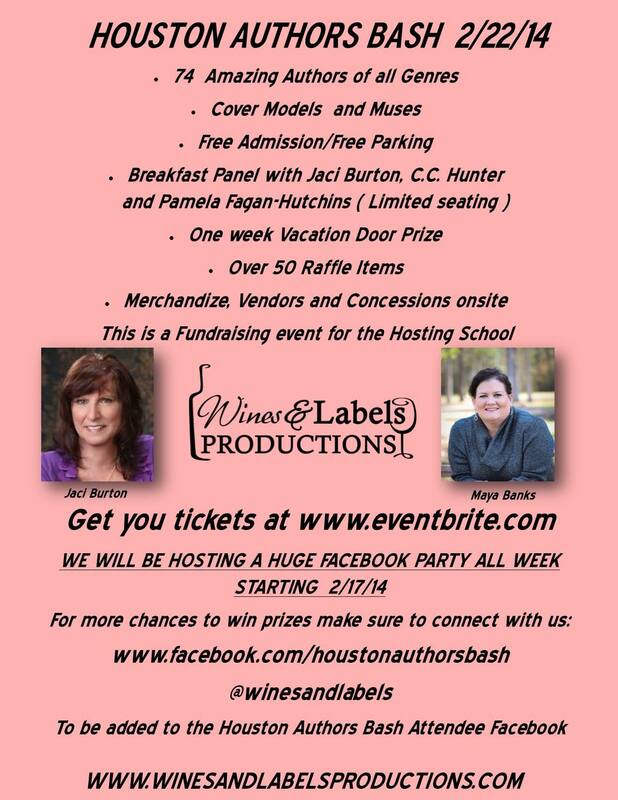 Ok – so I am 3 days out from my trip to Houston for the book signing event and I am so freaking excited I can’t sit still. I have been working like mad on edits for weeks now, getting book 1 and book 2 ready to republish, and book 3 is now done… so I feel really good about that. I have had book 4 written for a while now as well and have been messing around with it, but nothing serious. I am just too overwhelmed right now to focus… I woke up at 4 am this morning and worked on it for 2 hours, but then I had to go to work and now I am just… AHHHH. I think I will make a post about it and see who all would like to donate… so stay tuned for that because I have a feeling it will be a big one YAY…. OH and we are running a big party on facebook to celebrate the event – so if you are interested in winning some cools stuff – head over there and join in… lots of cool prizes and many of them you do not have to attend the event in Katy to win WHOOP!!! 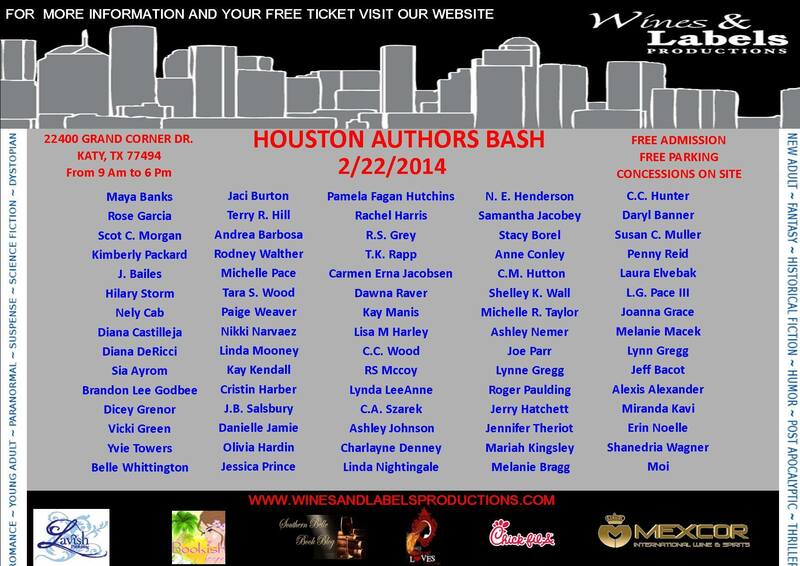 OK – for the book bash – it will take place Sat Feb 22 in Katy, Texas – 9 am to 6 pm…. I am going to post my flyers for the event as well, and if you are in the area or know someone who is, I would love to see you there!!! WHOOP!!! My first ever attempt at using the Rafflecopter is live on my page – please feel free to claim your entries and spread the word. These are all AVAILABLE INTERNATIONALLY (everyone 18+ is welcome to play) AND all books are winner’s choice and signed, of course. LOVE ALL MY FANS – AND THANK YOU ALL SO MUCH!!! Today, I am going through my final read on Book 2 – Life of Doubt. At the same time, I have this pile of books in the back of my mind that is growing out of control. I CANNOT WAIT until this school year is over and I have time during the day to do what I want to do. Wow – I feel better already, as a list maker this is the first step… the next will be to pick one up and dig in, and cross it off as it is completed, which I am looking forward to doing (and posting some reviews) whenever I am able WHOOP!! !